Identify your product or service by its Procurement Classification Code (that is, the Federal Supply Code or Federal Service Code) or by its and North American Industry Classification System (NAICS) codes for your products or services. Research DoD Personnel & Procurement Statistics . Of particular interest to small businesses is the Standard Tabulation (ST) 28 report of products and services purchased each fiscal year by the DoD. Data on the ST28 are sorted by FSC/SVC code and provide name and location of DoD contracting offices. This report is found at the bottom of the Procurement Statistics page and can be cross-referenced with the list of Small Business Specialists within the ARMY , NAVY , AIR FORCE and other Defense Agencies (ODAs). See Government Customers page. Identify current procurement opportunities in your product or service area by checking the Business Opportunities webpage where you will see a list of government procurement websites. DoD Small Business Specialists are located at each DoD buying activity to provide assistance on how to market to the DoD. Procurement Technical Assistance Centers are located in most states and partially funded by DoD to provide small business concerns with information on how to do business with the DoD. They provide training and counseling on marketing, financial, and contracting issues at minimal or no cost. Regardless of your product or service, it is important to consider a secondary market. For example, refer to “Subcontracting Opportunities with DoD Prime Contractors“. This website lists all major DoD prime contractors by state and provides a point of contact (Small Business Liaison Officer) within each firm. You are encouraged you to investigate potential opportunities with these firms. Many firms also have websites that may be useful, and we encourage you to consider contractor teaming arrangements. The Small Business Administration’s SUB-Net is a valuable source for obtaining information on subcontracting opportunities. Solicitations or notices are posted not only by prime contractors, but the SUB-Net is also used by other government, commercial, and educational entities. There are several other programs that may be of interest to you, such as the DoD Mentor-Protégé Program, the Small Business Innovation Research Program, and the Historically Black Colleges and Universities and Minority Institutions Program. Information on these and other programs is available on the website of the DoD Office of Small Business Programs. We encourage you to register with Wide Area Workflow (WAWF). This tool is DoD’s primary system for the electronic processing of invoices and receiving reports. By submitting your invoices and receiving reports through the Web, Electronic Data Interchange (EDI), or File Transfer Protocol (FTP), they will be routed electronically, resulting in more efficient payments to you. After you have identified your customers, researched their requirements, and familiarized yourself with DoD procurement regulations and strategies, it is time to market your product or service. The Federal Procurement Data System-Next Generation (FPDS-NG) at is the official web site for all federal procurement data and reports. This site requires registration for a user account and is free to the public. USASpending.gov at also contains current DoD procurement data. This data can assist your marketing efforts. 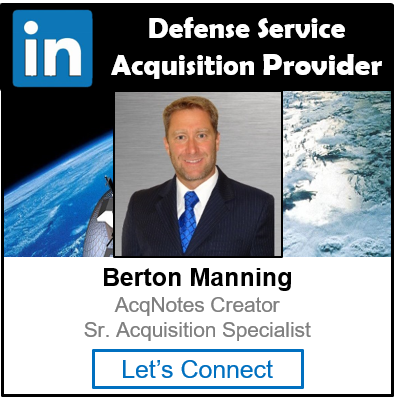 Present your capabilities directly to the DoD activities that buy your products or services. Realize that, like you, their time is valuable, but if the match is a good one, you can provide them with a cost-effective, quality solution to their requirements.